Do you know that you can install mode_cloudflare inside cPanel and Linux Servers as Centos or Ubuntu as example.The function of cloudflare mode is to automatically restore original visitor IP which means it will translate the visitor IP's addresses to consider the visitors IP addressess nor thatn cloudflare proxy server IP addresses. Through the above command you will finish Installing mod_cloudflare. cPanel will use a system known as EasyApache to build your Apache httpd Server during updates nor certain configuration changes inside your server. After that you will need to run EasyApache inside cPanel Server to add the cloudflare module and upon that you will need to recompile your Apache with the new mod_cloudflare plugin. Recompile Apache means you need to run run EasyApache installer, and check and mark the box “Mod CloudFlare”. after that Save and Build adn you will see that mod_cloudflare insatlled inside your cpanel Server. 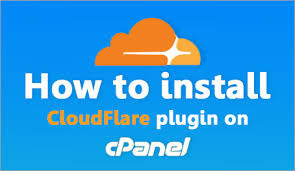 Currently now you are knowing how to install mod_cloudflare in cpanel Servers and how do you restore your original visitor's IP with EasyApache in cPanel. If you have any problem please don't hisitate to contact me and I'm happy to help you.